Goodwin is married to actor Josh Dallas and they have two children. Truth to tell the two cute actresses do share a passing resemblance. Big blue eyes, long blonde hair, and great figures, who can blame us for seeing double? 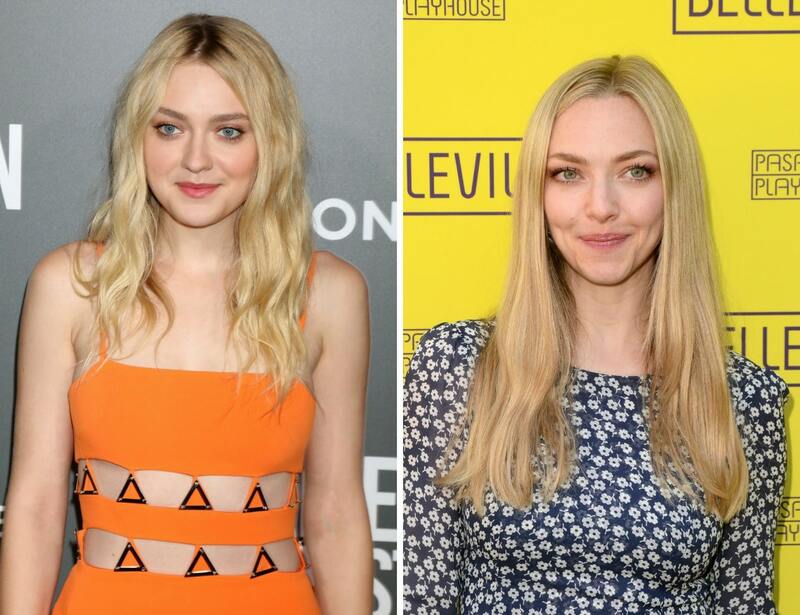 Amanda Seyfried, 32, is famous for her musical role in Mama Mia. She is married to actor Thomas Sadoski and they have one daughter together. Former child actress Dakota Fanning is already 24 years old and appeared recently in the hit movie Ocean’s Eight.